Sciarabba Walker has participated for many years in AICPA peer review, including as an established reviewer of other CPA firms. 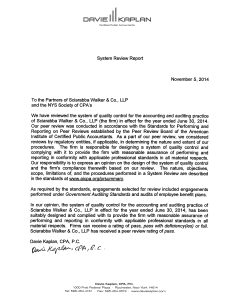 David Iles, our managing partner, is a chair of the NYSSCPA peer review committee. Peer reviews are now mandatory for CPA firms that provide attest services in New York State. 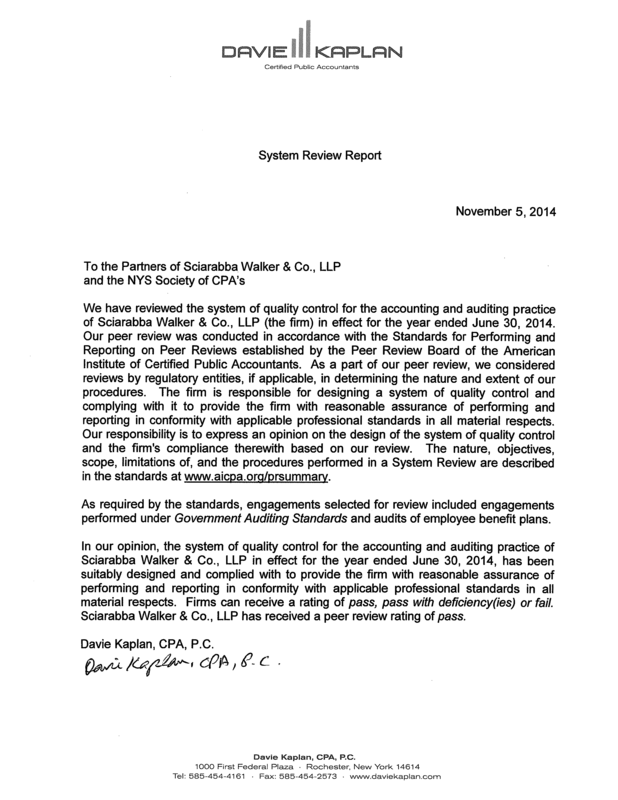 Sciarabba Walker welcomes the new Mandatory Quality Review (MQR) program, both as a participant and as a reviewer. We are proud to have earned pass reports, the highest AICPA rating, for every peer review throughout our history, an indication of our commitment to the standards and respect for the process.